We were appointed by Berkeley Homes to provide advice and guidance to improve the sustainability of Building 10, while assessing it under BREEAM Domestic Refurbishment. 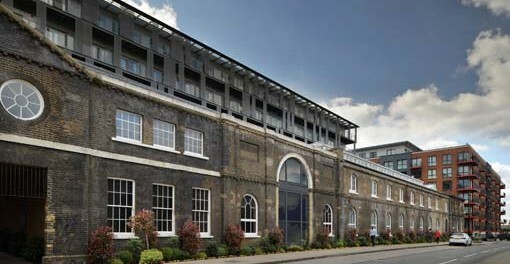 Building 10, the Former New Carriage Store is a Grade II Listed building being converted into residential dwellings. Due to the Grade II Listed Status there were restrictions as to the renovations and improvements that could be carried out: the existing single glazed windows had to be retained, along with the external wall, as any alterations could damage not only the original internal fabric but also the building’s character. Committing to achieving a score equal to or greater than 40 in the Considerate Constructors Scheme.